Google has updated its Google Drive app in the Play Store, which now requires users to install standalone Sheets and Docs apps for editing of documents and spreadsheets. By stripping the editing function out of the Drive app, Google is intending that the Drive app be used for managing and viewing of your files on the cloud. 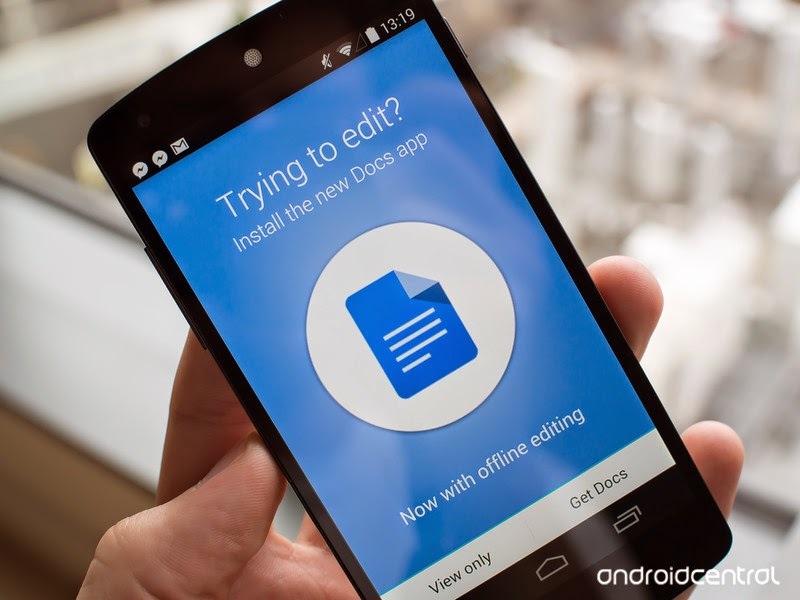 Though users will now need three apps to retain the functionality of the old Drive app, the upside is that you can now edit files without requiring a data connection in Google's standalone Docs and Sheets apps. After you update the Drive app, if you haven't already downloaded the Google Docs and the Google Sheets apps, you'll be prompted to do so when you try to edit a Google Docs or Google Sheets document — though you can still view documents regardless. Interestingly, though, it seems that we were able to still open and edit native Microsoft .xls and .doc files that were uploaded to Google Drive natively within the Drive app.